I haven't talked to anyone in the industry about the recent Miami New Times article on Biogenesis and Tony Bosch's records, which apparently gives me the equivalent qualifications to write about this news as anyone else. There is one important fact to keep straight now: this story is still very much in its infancy. The coming months will assuredly reveal more details from the investigation along with teams' and players' reactions. Any judgement we make now will likely be premature and any assertion as to how the consequences will unfold is almost entirely speculative. I do have some preliminary reactions though. This is based purely on the information that is currently publicly available, but I'm going to play devil's advocate here and suggest that this newest PED break actually shows significant progress for baseball and that the MLB is doing a much better job in keeping drugs out of the league. This is the first significant bust on the drug provider side since BALCO and it revealed only six names (ignoring athletes in other sports). This isn't to say that more names may not be revealed later, but only six players being implicated in a major drug bust is hardly indicative of an omnipresent drug culture. To make an even greater case that baseball is being cleaned up, three of the six (Melky Cabrera, Yasmani Grandal, and Bartolo Colon) actually failed drug tests last season and were suspended. As to the case of Gio Gonzalez, none of the found records indicated that the substances that were provided to him were banned from baseball. So even though the players decided to step outside the lines, in four of the six cases MLB appears to have handled everything perfectly. 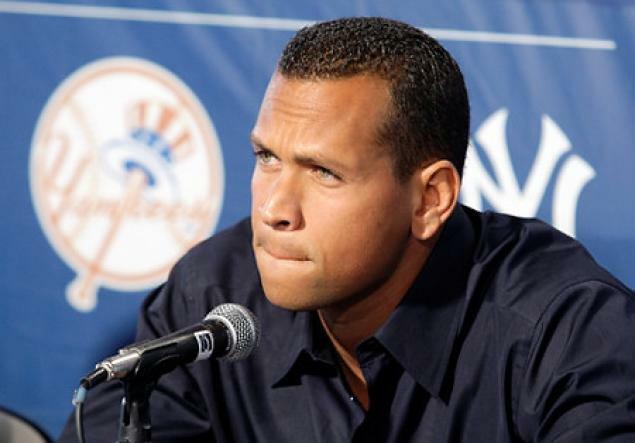 Alex Rodriguez and Nelson Cruz will surely have some questions to answer in the coming months. It's possible they were taking masking agents, that their tests happened to coincide with times they weren't using, or possibly that they never even took the drugs in the first place. Either way, in a society where we base our justice system around the fact that it's better to let a guilty man walk free than to lock up someone innocent, with the current information I think MLB should be pleased with the testing results of last season. This coupled with the implementation of HGH testing for this season should definitely give those who consider cheating second thought (about getting caught, not the consequences, although that's an entirely different discussion). Also, since the testing procedure and results are supposed to be private until a verdict is announced (cough... Ryan Braun... cough) it is possible that Rodriguez or Cruz may currently be dealing with a failed test unbeknownst to the general public. None of this is to suggest that there aren't more providers or users out there, but if this is the result of a major investigation, I think the current state of drugs in the game is looking good. I also think it's far too early to speculate on the future of these players. Alex Rodriguez will never play again? I think far too many steps are going to have to fall into sequence for that to come true. It's best to let this story play itself out and wait for the investigation to reveal more detailed information before rushing to judgement. Although if I'm Scott Boras I might be in Jon Daniels' ear right now letting him know how great a replacement Michael Bourn would be for a suspended Nelson Cruz. On only a semi-related note, at some point we're going to have to have a serious discussion on why some of these drugs are illegal. Many such as anabolic steroids can have devastating effects if abused, however under the care of doctors have shown to have clear medical benefits such as helping AIDS and cancer patients maintain muscle mass. If HGH can be shown to safely help players heal faster from injuries, shouldn't we be encouraging its use? Anything can be dangerous if not administered properly by professionals. Performing Tommy John surgery on yourself with a kitchen knife in your basement would be a disaster, but no one is advocating preventing Dr. James Andrews from performing it. It's time to seriously look at these drugs and determine their potential benefits and how they can help the athletes and improve today's game. It's possible that many of the stories we've heard from athletes, such as Andy Pettitte claiming he only used HGH to help recover, will become standard practices in the future. I'm not trying to imply that what Pettitte did was right, but I think we need to take a more critical look at "PEDs" instead of just labeling everyone under the blanket of "cheater." These drugs were found or created for medical purposes, and just because they can enhance performance, does not mean they should be banned.